With 30 years of photography experience behind him, this former Veterinary Technician and Dog Trainer is known as the “dog whisperer” of pet photographers. Having worked in the animal care business before becoming a photographer gives him an edge in working with animals that other pet photographers are hard pressed to match. Schwartz has a special bond with animals and it has been said that he seems to hypnotize animals into posing for him. 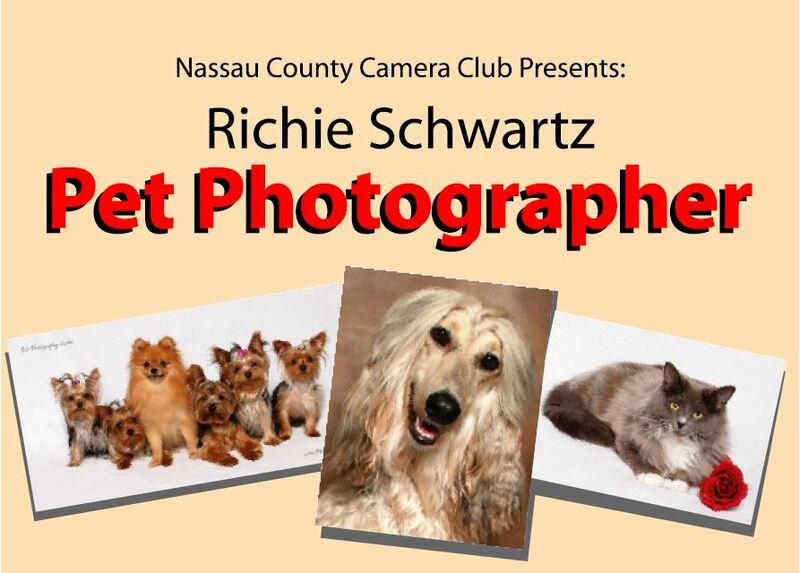 Richie will share some of his favorite pet portraits as well as tips on how to improve your pet photography skills followed by a question and answer period. He founded and owns Pets Photography Studio, the largest pet only photography company in the USA.